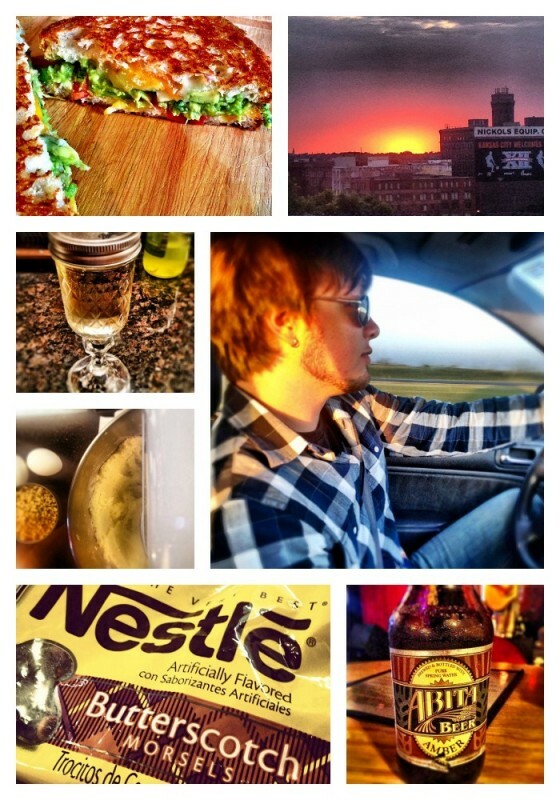 I feel like it was just yesterday that I was posting a roundup of photos from April. Now here we are on June 6 looking back over May. Seriously, where is the time running? May was a great month. I dropped my laptop on our concrete floors, and shattered the screen. That actually sucked, but I got a new computer out of the deal with a nice large screen for effective photo editing. It’s also immobile so that I won’t drop it again. I finished A Secret Kept (Tatiana de Rosnay) and House Rules (Jody Picoult) both of which I highly recommend as summer reads. I’m not much of a book reviewer so if you have questions on them, email me! I sneaked some Biscoff spread into no-bake cookies and we discovered Spicy Buffalo Wheat Thins. 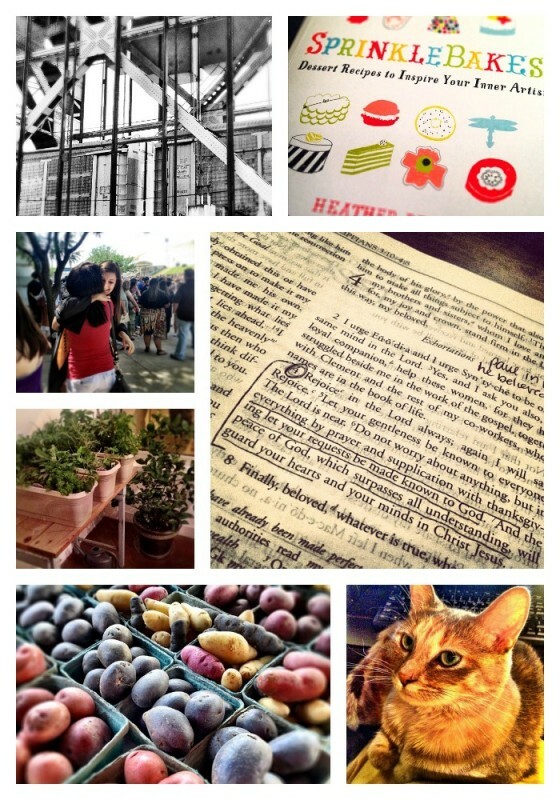 #SheReadsTruth caught like wildfire and I have been incredibly encouraged and amazed by God’s power to work in numbers. It’s not to late to join! My cousin graduated from high school. How did that happen when I haven’t gotten any older in the last few years? I’m not really sure. What I am sure of, though, is these kids better STOP growing up because I’m starting to feel O.L.D. Have I mentioned that I live a mere two blocks from the KC City Market? I do. And it is heavenly. Avocado grilled cheese. I still can’t get enough. Hillbilly wine glasses. Can’t get enough of these either. Nor can I get enough of that cute husband of mine. Cookie dough too. Never enough cookie dough. And I’ll go ahead and add butterscotch chips and Abita Amber Ale to the list. And that sunset? Come on! Paul is pretty handy to keep around. Here he is spending his Memorial day helping me build photo backgrounds for the blog. I think I’ll keep him. Frank’s Red Hot Sauce, I love you, the end. The lake. I need not say much more than this: relaxation headquarters. Again, the sunset on Memorial Day. The perfect end to a perfect month. Wednesday Ramblings | 10 things I loved about February. That suuuuunset. Good heavens, Lordy LOU. (Obviously) I can’t get enough. 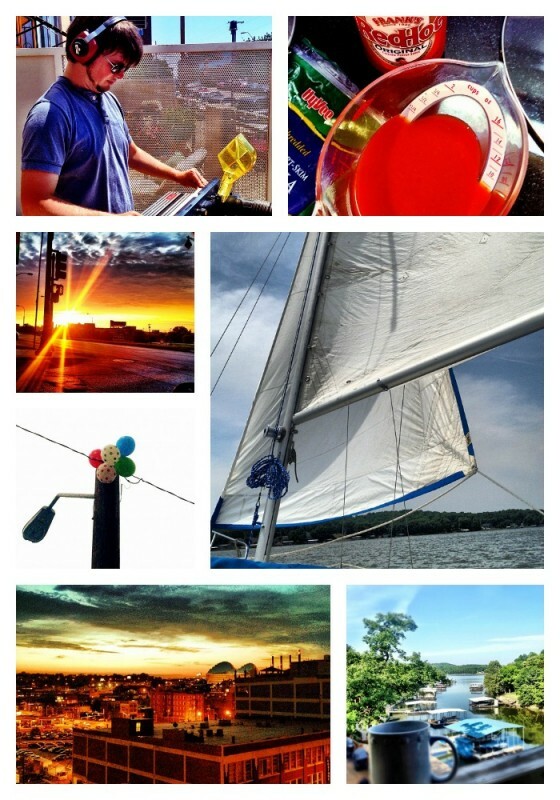 What a stunning collection of images, I love the lake and sunset pictures. Absolutely gorgeous Cassie! Cassie, I’ve just jumped on board to #SheReadsTrush and I am playing catch up on Soul Detox. GOOD Stuff! I’m so glad that you led me to it. I am so glad to hear ti Chrissy! Are you on Instagram? I don’t think I’m following you if you are. I love the reading plan, just love it! This year IS flying by, I don’t know where it’s going. Beautiful pictures! 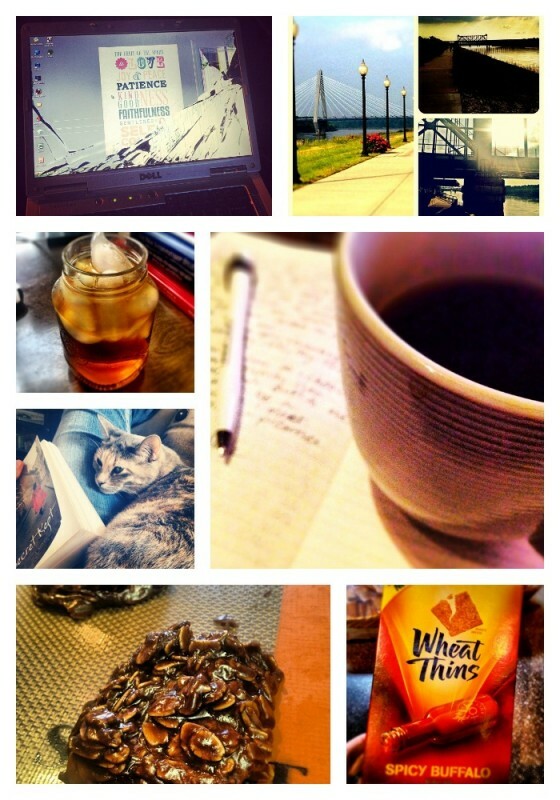 You’re such a good instagramer (that is totally a word, btw). And I read (tried to read) Sarah’s Key by the A Secret Kept author, and I was bawling so hard I couldn’t finish. I literally threw it out my car window. Oh I know. I made it through but it was tough! A Secret Kept is much less graphic and heart wrenching! Oh yes! I love them, I have 4 now. I am going to do a post about making them! Great pics, Cassie! Your cat is a cutie :). I may have to try this at some point. It will involve me taking more pictures, though. If I did a review of May it would be 10 pictures of my cat! I guess it has just become a habit for me and I love always having my phone with me for photos. I do take a lot of my cat though. 🙂 BTW, I just spent a few minutes browsing your site – it’s amazing. And I am so intrigued by your job. Can’t wait to read more! Nice to pop in here and see an array a pics and nut just food pics. They do convey that you have had a pretty good week. Sorry about the computer, but you recovered quite niccely with a better one! Thanks Tina! I really like to share other aspects of my life too. Cassie these are such wonderful photographs. Love them all, especially the cat…napping. Lol! I still can’t get over the fact that May is gone and June is rolling ahead! Gorgeous pictures, Cassie (like always!). I love keeping up with your life on the side! No kidding! Hope you guys are starting to feel a little settled. I love keeping up with your photos too! Buffalo wheat thins?? Let me at ’em. 2 blocks from market? You lucky girl!! I read House Rules, JP always has good stories, always hurt my heart a little too. Need to check out other one for summer! She’s a great writer but you are right – always a little heart-wrenching! Great photos! Your May looks like it was full of fun and interesting things! I love the picture of the balloons, it’s so out of the ordinary. Thanks Shawn, it’s been wonderful! I loved the balloons, that was right outside our condo and it caught me off guard but it made a great photo! Hi Anne, yes please do, I will help in any way I can! She Reads Truth is a group of women who are encouraging each other to be in the Word every day. We are reading the Soul Detox reading plan from YouVersion.com right now. All the info is at shereadstruth.com and my last week’s Wednesday Ramblings post was about the study too! Spicy Buffalo Wheat Thins, your are kidding? I need to get my hands on those. Awesome pictures, Cassie! It’s amazing we are already in June! May sounds so happy! I mean, you have biscoff, cute husbands, cookie dough, AND beer. WHat more could a girl need? Oh Cass it looks like such a great month! I love following everyone’s #shereadstruth pictures. Very inspiring. Thanks Megan! Hope you have fun at BHF! I’m sorry to read about your computer, but the rest of your May sounds great! Yes, it was, thank you! What a lovely blog you have and so exciting recepies, look forward to dig more in. Have a wonderful Day. We would absolutely be up for that! SO glad to be here, too! I’ve told you before how much your Wednesday Rambling’s make me smile! This post sings to me! Love the pictures! I so appreciate that comment, Lauren! I never know if people really like them. So glad I “met” you! In real life someday!! I have tried avicado grilled cheese too, and can’t get enough! Tell me about it. SOO good! I love looking at photos of the past month! Yous are gorgeous.